While low cost kitchens have their place in some homes, to get exactly what you want in a luxury kitchen design, it really does pay to have it built to your own personal specifications by choosing a bespoke kitchen design. While such options can work out more expensive than off the peg kitchen designs, bespoke kitchens designed by experienced joiners will ensure your kitchen becomes a truly unique space. It is advisable to think about how you will you use your kitchen and what look or style you want to achieve before you engage with a joiner specialising in bespoke kitchen design. Mark Piper Furniture have lots of testimonials from happy customers, providing a real insight into the types of bespoke kitchens we have completed and the feedback we've received. Visiting our fully equipped workshop at a pre-arranged time could also be beneficial to you so you are able to see the options available to you and talk face to face with our experienced joiners who will be able to achieve your dream kitchen for you. 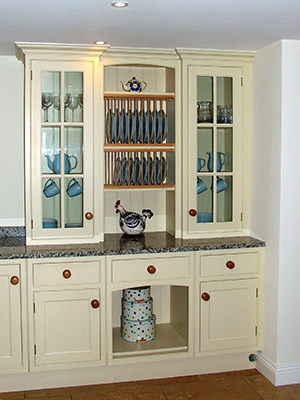 Our range of bespoke kitchen joinery specialists offer a truly bespoke service, have many years’ of experience in the industry and have lots of happy customers, past and present. 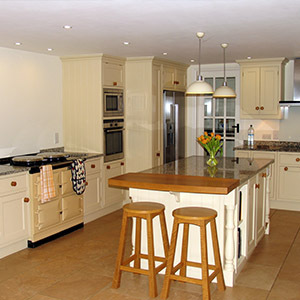 We are real craftsmen who will work with you every step of the way to help you get the kitchen of your dreams. Of course, such projects can take some time to complete as everything is made exactly to your own personal specifications but the end result will be worth it, without any question of doubt. For more information on the range of service we offer, call now on 01626 362 894 and speak with one of our Devon qualified joiners.